The timely end of a career of any top sportsman is a sad day, but the premature end of a life of a champion so universally popular as New Zealander Possum Bourne is a tragedy beyond measure. Read Part 1 of our Possum Bourne tribute HERE. For someone from so far away, Bourne’s achievements in the world of rallying were amazing. He had been probably the foreigner most responsible for bringing Subaru into international rallying, one of only two New Zealanders to win an FIA rally championship title, and the first New Zealander to enter an official FIA world championship. 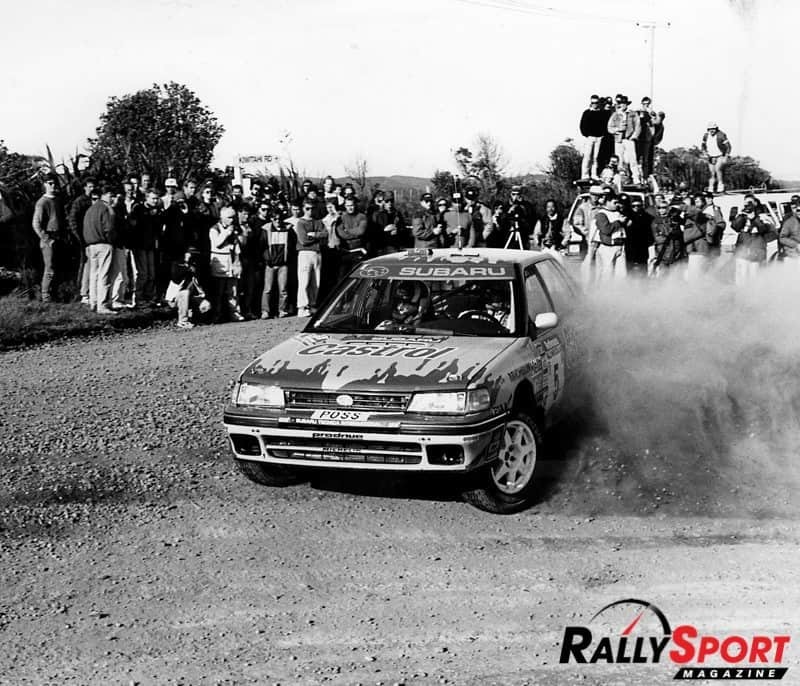 In addition to being three times Asia Pacific champion, he was Australian Rally Champion seven times and his business initiative with Subaru was responsible for the extraordinary popularity of these cars in Australasian rallying. But however impressive these achievements, the lasting memory which Bourne leaves is the joy of friendship of everyone who had been lucky and privileged to know him, the way this guy, whatever his successes, commanded your respect on a personal level. 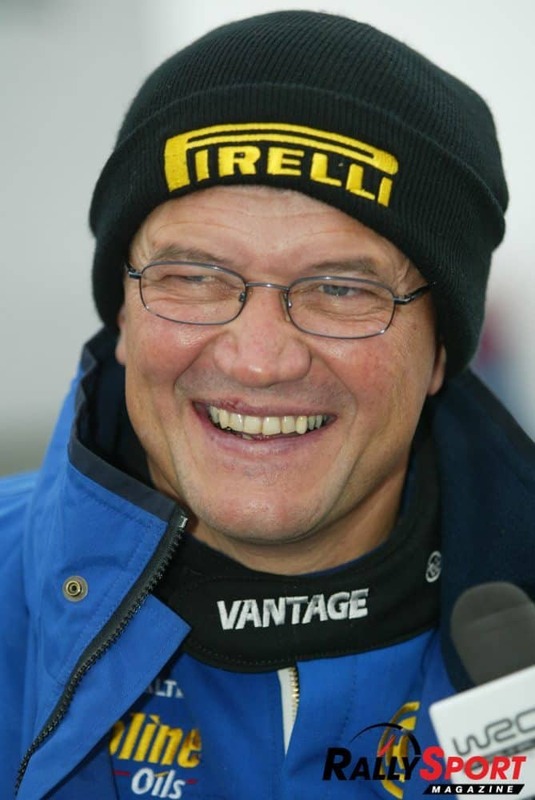 Bourne had been at the top level of New Zealand rallying for 20 years. He had great ambitions to gain success all over the world, but circumstances limited these opportunities, yet he never lessened his determination to succeed in any environment he was allowed to enter. It was as a successful Subaru person that the record books will most remember him. His first appearance on a world rally was in the 1983 NZ rally when he won the Group A category, success which he repeated the following two years. When he came third in the 1987 New Zealand Rally, it was Subaru’s most important world rally placing to date. When he first won the Asia Pacific title in 1993, he was the first Subaru driver to win an FIA title. It was ironic that this year was his first chance to tackle, through the Production Car WRC, a season of world class rallying, and achieve an ambition of a lifetime. The remarkable presence of Subaru in world rallying these days owes a lot to the determination of Bourne in earlier days. The company had first appeared on a world rally on the 1980 Safari Rally with small four-wheel drive cars. 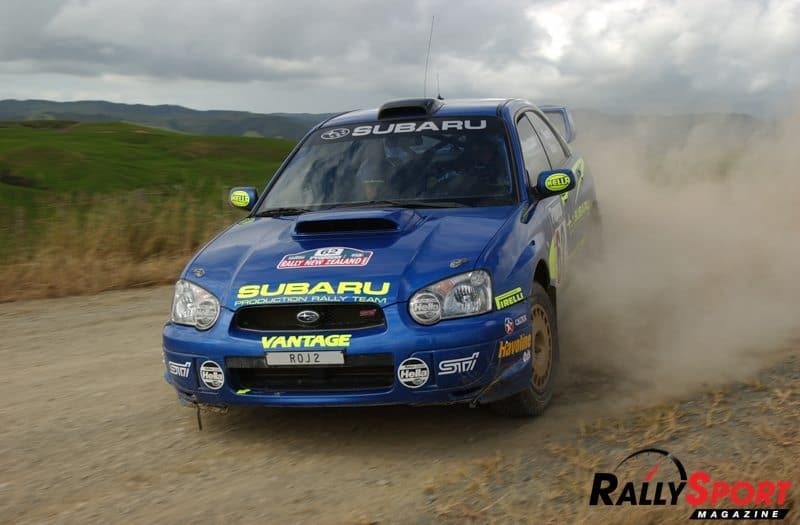 Within three years, with more competitive cars, the team had entered the NZ rally. Possum was one of their drivers. The team also tackled selected events round the world, such as Kenya, USA, Australia, with cars prepared in Japan. Possum drove for the team and was able to use one of these cars for national championship events back home as well, often overcoming a lack of power with the four-wheel drive. His first national championship rally win was in 1985 in icy conditions in the South Island. The hope of entering foreign events forever motivated Bourne, to the exclusion of prospects in his own national championship, which he only won once. Indeed it was in Australia that he went on to gain the greatest national acclaim. His championship successes there were a most satisfying achievement, for Kiwis love the chance to beat their big brother neighbours in sport. When Subaru gave Prodrive the work of representing the team on world championship events, Possum’s dream of a world championship programme had seemingly ebbed away for good. But coming along at that time was the FIA Asia Pacific series, first run in 1988, and in which fellow Kiwi Rod Millen took the title in 1989. Possum, therefore, was not the first New Zealander to make the grade in international rallying, that honour belonged to Millen. Even after he had long left his country’s shores to pursue a business and sporting life in the USA, Millen still carried the image of being his country’s top rally sportsman. It took a long time of steady dedication before Possum was finally accepted as the rightful heir. Three times in his career, tragedy hit Possum. The first time came in 1986 on the Rally NZ when Subaru’s tyre chief, Odama Kobayashi, died in a road accident and the team withdrew from the event out of respect. The second time came seven years later when his co-driver and long time friend, Rodger Freeth, died when their car crashed into a tree at Rally Australia just ouside Perth. And now we have lost Possum himself, in quite extraordinary circumstances, in what was, in reality, no more than a road accident. Possum Bourne was a larger than life character. The loss of Rodger was a defining point in Possum’s life. Possum was distraught. It seemed so unfair. Possum was in the car alongside Rodger at the moment of impact and was unhurt, his friend died from internal injuries. In the end, Possum’s and Rodger’s family encouraged Possum to continue in the sport, and ever since Possum’s rally car carried the cherished registration number ROJ. He wanted his friend always to be remembered. Possum was nothing if not a Kiwi. For all his dreams, some achieved, others not, of success in foreign lands, he never forgot his family, his friends and neighbours. If anything summarises him best, it was that his last competition days were spent back home, in New Zealand at the Race to the Sky hillclimb. This was an event which would never enhance his career, but was a glorious annual occasion enjoyed by New Zealanders for themselves, and a small and selected group of foreign guests. Even to have been there was his way of saying he was unchanged, still a Kiwi, enjoying their pleasures, sharing their fun. Doing, as is the national creed, everything as well as they could.